How Much Is Hard Drive Recovery Going to Cost Me? When your hard drive fails and you can’t access your important files and data, you may experience a moment of panic. Luckily, there is a good chance you can get that data back. Depending on the issue you are experiencing with your hard drive, file recovery services and software exist to help out with accidental data loss. 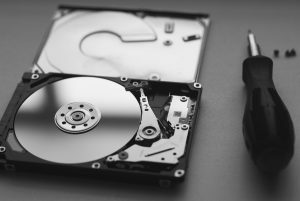 Below we cover the two types of hard drive failure, your data recovery options, and how much you can expect to pay to get your precious data back. This can happen a variety of ways—you accidentally move a file to the trash and clean out your trash bin, your files are corrupted, or you accidentally reformat the wrong drive. If this is the case you can probably recover your information yourself with a little help from some file recovery software. 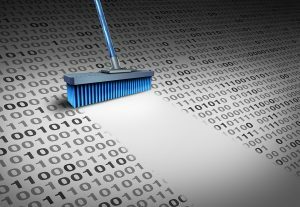 However if you have accidentally deleted a large volume of data, reaching out to a professional may save some time and hassle, and it will ensure your files are recovered correctly. These issues can be complex and will require help from professionals. You can do some initial research to try to diagnose the issue based on the symptoms you see (you hard drive starts up but your computer can’t access it, or your hard drive won’t start up at all, etc.). You can use this guide to hard drive recovery to try to diagnose the issue with your drive if it seems to be due to hardware failure, but trying to fix a hard drive with mechanical issues can be dangerous, so it’s best to have an expert perform the recovery process. The cost to perform data recovery yourself includes the price of software and possible additional hard drives, but you should also consider the value of the time it will take you to do research and perform the work yourself. You should also consider the risk of performing data recovery yourself, especially if you are inexperienced and performing this task for the first time. Is the issue mechanical or logical? Which do you value more: convenience or cost? Do you have the time/knowledge to perform this work on your own? If you are experiencing mechanical difficulties it’s best to have a professional perform the dirty work. And either way, you may find that sending your hard drive to a specialist is the safest, most reliable way to ensure you get your data back. Data loss is not a fun or cheap experience. 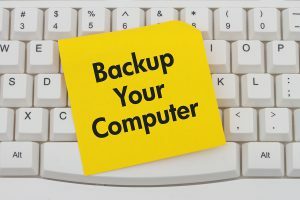 To decrease the risk of losing your data, it is highly recommended that you use a solid data backup solution. Whichever format you choose to backup your data (physical files, cloud storage, backup tapes) Record Nations will help you find a provider near you. Whether you are looking to backup your data to prevent data loss before it happens, or if you are in need of a data recovery specialist, Record Nations will help you find a solution. Call us at (866) 385-3706 or fill out the form on the right to get in touch with local professionals. We will get you several free quotes so you can choose the service option that best meets your needs.